A juniper berry is actually a female seed cone. Juniper berries are the only spice from conifers. Many recipes call for juniper berry. Juniper berry spice is popular in many traditional and creative cuisines. Juniper berries have a nice pine earthy taste. The berries give gin its distinguishing flavor. Juniper Berries (juniperus communis) was used as food and medicine by American Indians. The question asked is Where to get Juniper Berry? Make Juniper Berry Flavored Rum. Juniper Berries are sold as fresh and dried seed. Where to buy fresh juniper berries is not easy to find. Juniper berry used in food and drink usually come from the species Juniperus communis, which grows throughout the Western United States. Buy Juniper berries to flavor your rum home making and add a unique flavored fragrance to your home rum. The best fresh juniper berry are from local Oregon grower for Juniper Berry flavored Rum. The Oregon juniper berries are older dark purple berries, have high levels of juniper oil and fragrance. Buy juniper berries that are whole 100% organic juniper berry. Juniper berries take 2 to 3 years to ripen. At any given time the juniper tree contains both ripe and unripened berries. Only purchase juniper berry that have been hand harvested to ensure that you buy ripe berries. 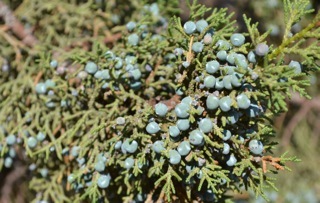 Beware many juniper berries being sold are taken illegally on protected wilderness lands. Buy juniper berries that are grown exclusively by farmers on private farm land. Before you purchase juniper berries ask the vendor where they were picked. Berries sold at cheap prices are usually poor quality and have little oil. Where to buy Juniper Berry? Buy Fresh Juniper Berry for flavored rum. 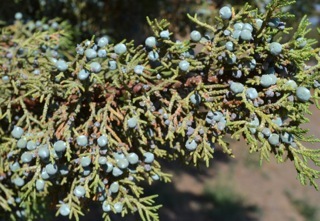 Finding the best fresh juniper berries is always difficult. We sell Juniper Berries for Home Rum Making. If you using juniper berries food preparation and rum making at home you only want to buy fresh juniper berries. Fresh juniper berries provide the best flavoring for home rum and provides a special flavored taste. We sell fresh juniper berries for home rum making. The dark purple, blue, or violet -brown berries are harvested in early autumn. To get the best fragrance of essential oil, fresh juniper berries should not be ground, mashed, or rubbed until just before their use. Store them in an airtight container in a dry, cool place, away from direct sunlight and lightly crush just before using to release their flavor.